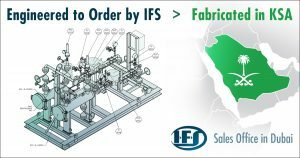 IFS is a process engineering company with a long history of supplying “Engineered-to-Order” oil and gas process equipment packages to Saudi Aramco, the national oil company of Saudi Arabia. Enabling our services, we partner with local Saudi Aramco approved regional fabricators to uniquely serve markets in the Middle East. Saudi Aramco is currently developing twelve (12) upstream, midstream and downstream investment projects valued at approximately $80 billion USD which will help the prospects of approved regional fabricators tremendously. IFS has recently been featured in a U.S. Department of Commerce publication focusing on U.S. trade in the Oil & Gas Sector with the Kingdom of Saudi Arabia. The U.S. Department of Commerce’s Saudi Arabia Embassy is located in Riyadh, the capital. This U.S. Embassy office focuses on assisting American Businesses participate in Oil & Gas equipment opportunities with Saudi Aramco. The Kingdom of Saudi Arabia maintains its world-leading conventional crude oil reserves at 260.1 billion barrels. Saudi Aramco produced 9.5 million barrels per day of crude oil and 12.4 billion standard cubic feet per day of natural gas in 2014. 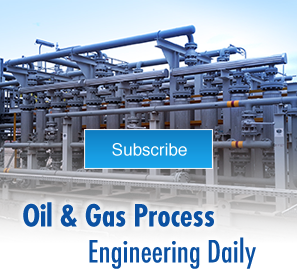 By 2020, Saudi Aramco’s current daily production capacity of 12.5 million barrels per day is forecast to increase to 15 million barrels per day. IFS serves the Middle East from the Dubai sales office which opened in July 2013.